Heat oven to 400°F. 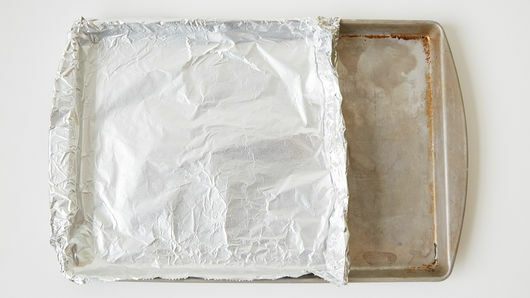 Line half of 15x10x1-inch rimmed sheet pan with heavy-duty foil, creating a rimmed foil barrier in the middle half of the pan; spray foil with cooking spray. In small bowl, mix 2 tablespoons of the softened butter and the honey. Set aside. In another small bowl, mix bread crumbs, salt, pepper and paprika. 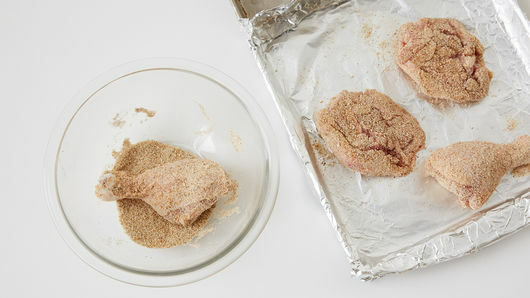 Coat chicken pieces with bread crumb mixture. Place chicken, skin sides down, in foil half of pan. In small microwavable bowl, microwave remaining 2 tablespoons butter uncovered on High 10 to 15 seconds or until melted. Pour melted butter around chicken pieces. Bake 20 to 23 minutes or until chicken starts to brown. Turn chicken over, and add biscuits to other side of pan. Bake 17 to 20 minutes or until biscuits are golden brown and juice of chicken is clear when thickest part is cut to bone (at least 165°F). 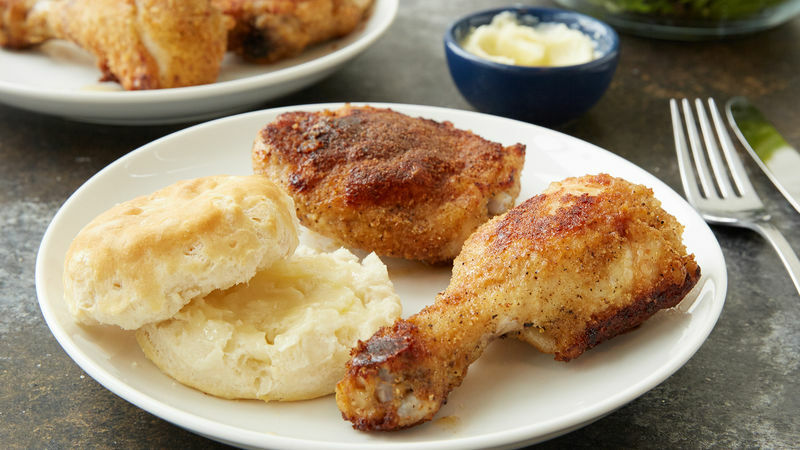 Serve chicken with biscuits and honey butter. 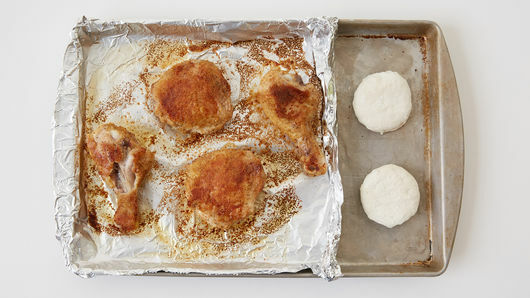 For a larger package of chicken, label and freeze any unused chicken pieces in a resealable freezer bag for later use. Honey butter is great as a spread or warmed up as a drizzle.